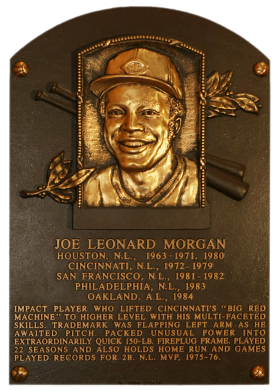 Where Joe Morgan played, championships followed. 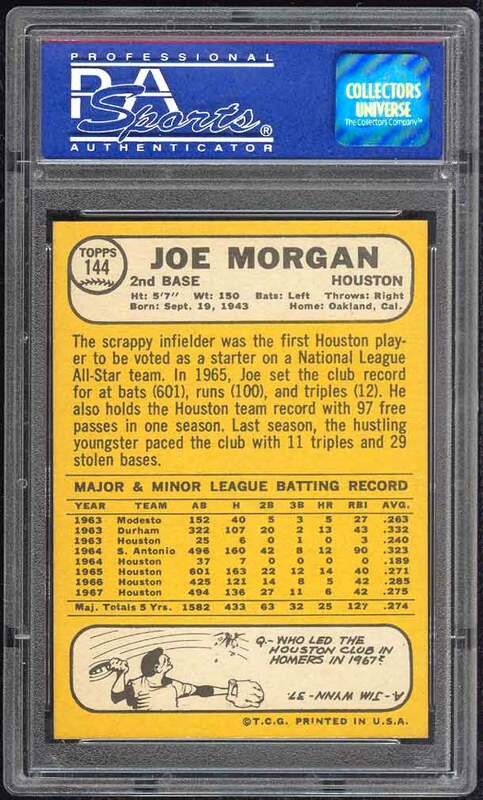 After leading Cincinnati's "Big Red Machine" of the mid-1970s to two World Series victories, Morgan led the 1980 Astros to a division title. He then helped Philadelphia capture the pennant in 1983. "Little Joe" won back-to-back NL MVP awards in 1975 and '76. Only 5'7", he had 268 career homers, 689 stolen bases, 1,133 RBI, 1,650 runs, and 1,865 walks. 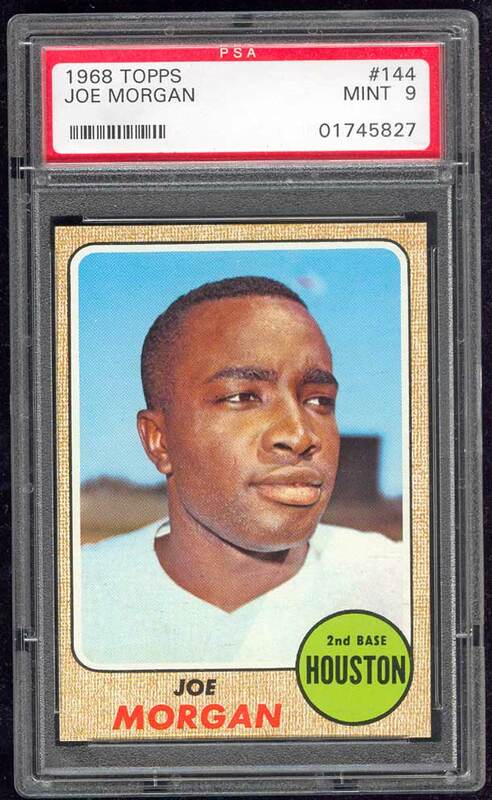 Comments: This is the card that started it all - the first of my many HOF portraits. I was at a card show off Colfax and Wadsworth - need to find the exact location/place one of these days. 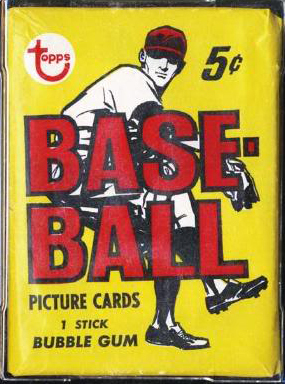 I remember walking the show floor and deciding to dive into collecting Hall of Famers. I had been collecting modern or Rookie Cards since 1991, primarily buying 1992-1995 Bowman singles in bulk and selling them off for profit. But, it was time to collect something more historical and sustainable. I spotted a 1968 Topps Joe Morgan at Brian Drent's table (Owner: Mile High Card Co.) and decided to buy it. The modern card selloff continued. Within two years values tanked and I wasn't burned. 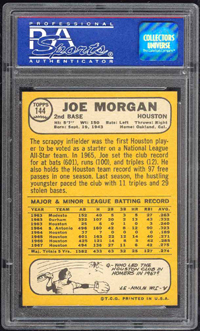 Soon thereafter, the '68 Morgan was submitted to PSA and graded NM-MT. Grading wasn't big yet. The PSA 8 was sold in December 2003. A month later I won this PSA 9 from seller Vinny Ho on eBay. This card will always be pretty special for me.